Here I am again, putting my blogging on hold everytime I focus more on my work. Sometimes I envy other bloggers who can manage to maintain their blog (with compelling content I might add) and work at the same time. 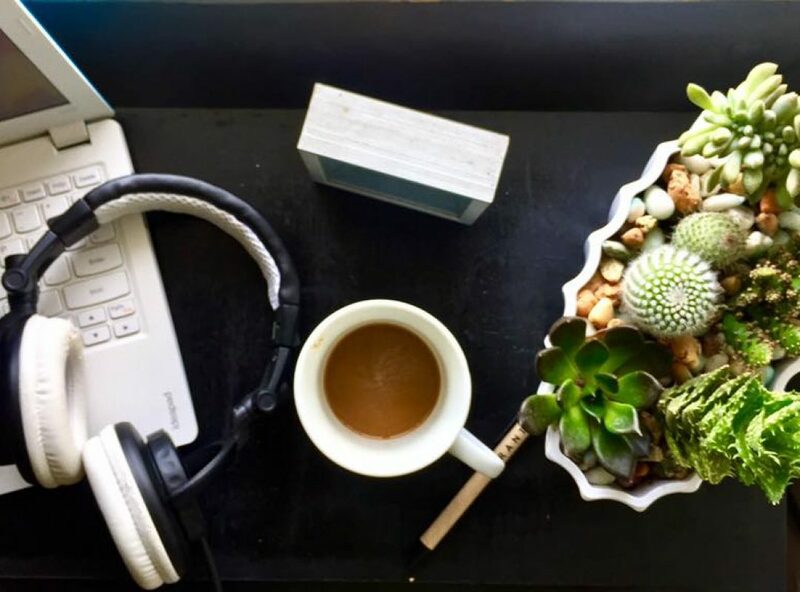 Is blogging really for me or should I throw in the towel? What do I have to do to jumpstart this sputtering thing that I call a blog? The past week has been grueling I have ignored this blog yet again. Work required me to get cooped up for a full week with colleagues to discuss and deliberate the future plans for our new project. And we have yet to submit a proposal which is due this Friday. Can’t say I am excited but I am quite anxious. To be honest I am scouting for other work opportunities but I’ve yet to see something that would really interest me. Plus of course the package should be at par with what I am having, if not better. Hey guys. Work caught up with me and so my blogging is temporarily put on hold. But with temporary I mean just a couple of days. I’m still thinking of an interesting topic which I can devote my full attention to. As some of you blogger friends know, it’s not easy to put up a post when you’re really not into it. For know I ask for your patience. Lately I’m in a Korean state of mind. I have been listening to a lot of K Pop songs on spotify and looking at Korean Food shows online. However korean ingredients are hard to find in this part of town except for Kimchi and Gochujang. 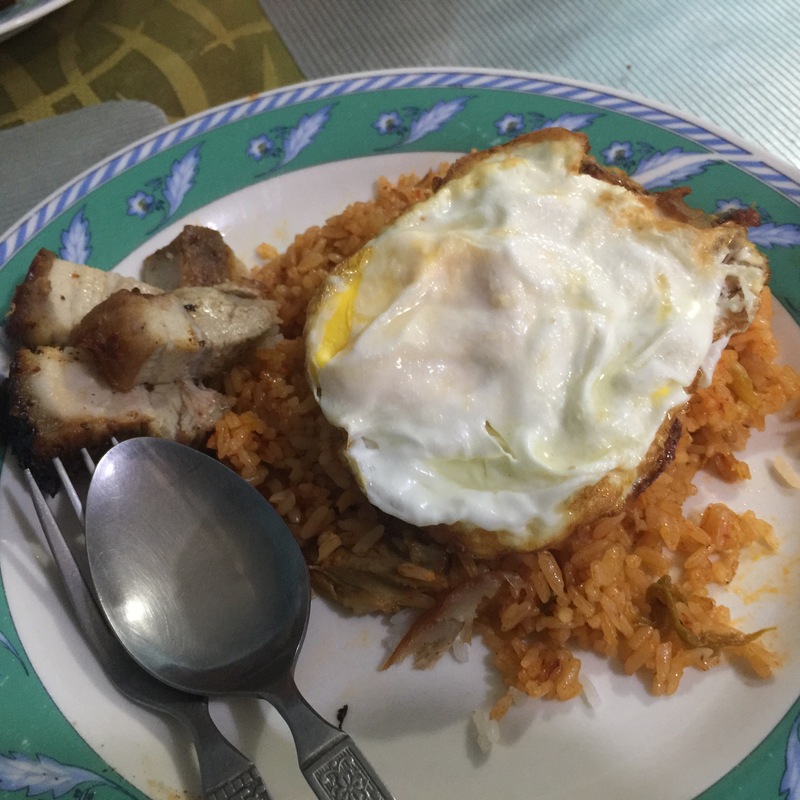 And so I just cooked the easiest korean meal I can come up with… Kimchi Fried Rice! That’s the crispy pork belly left over from yesterday. This meal is so easy to make and so satisfying. I just got my recipe online but I guess Koreans have their own versions so just google away! Besides, cooking fried rice is so easy. House Chores are so Ugh! I will have to admit that I am not at all thrilled doing house chores. Specially now that I am used to having someone (hey mom!) fix stuff for me and do the daily chores since I am at work everyday. For those wondering, Filipino children live with their parents for as long as they like, in this case my mom lives with me as she is already a widow. Also she will not just sit around the house. Asian moms in their early 60s are still fairly strong and robust. Back to me, so mom is not around this weekend because she has to go to the province to attend the wake of her sister-in-law. That leaves me with no choice but to take over the house chores this weekend. The house is fairly easy to take care of. But we have two rowdy dogs who we all know need to do their thing every now and then. I love them but I hate scooping up their poop, even it was done in the yard. I did enjoy cooking for myself! 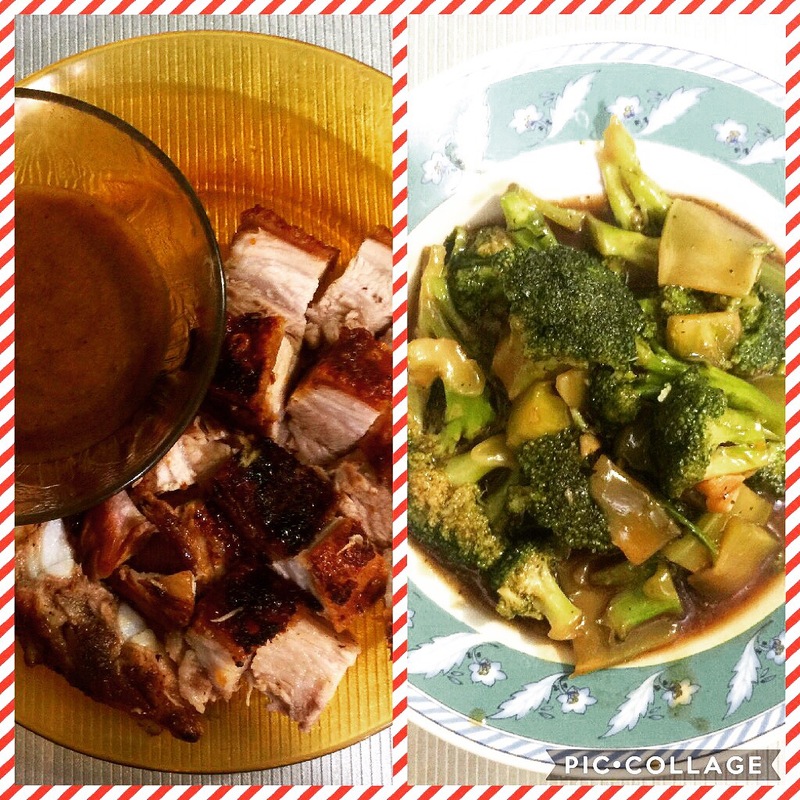 For lunch I made stir-fried brocolli in oyster sauce and crispy skinned baked pork belly. These are tried and tested recipes so it was not much of an effort. And so yum! Well I am off to clean the house and have my haircut. I am having kimchi fried rice for lunch so I will prep for that too. So I say to myself… good luck! But too early to celebrate. I have been fairly adept at scouring for flight promo deals, booking hotels, and arranging the itinerary for our trips for the past 6 or so years. November of 2016 was our first travel abroad via Kuala Lumpur, Malaysia. Although this is not the first time for me to visit KL, the trip was extra special because I get to visit it with the person I love. This blog was never setup as a travel blog but I will be very happy to share my experiences in my previous and future travels, so watch out for that. I am positive that I will get that seat sale soon. I have not failed so far. How about you? What are your travel plans for the year? Look ahead, look far. Let’s get away. This blog is old. I'm old. But I am willing to try new things. Life is short. Let's enjoy it!